“Babyliss Pro Nano Titanium Ionic Dryer & 1 1/4″ ConiCurl Iron BABNTLPP1 Babyliss Pro Nano Titanium Ionic Dryer & 1 1/4″ ConiCurl Iron BABNTLPP1 – Double the style with this awesome prepack! 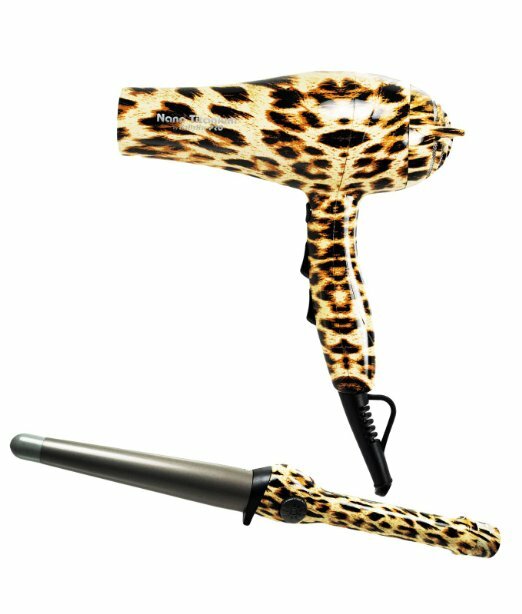 The Conicurl iron is cleverly designed with a conical shape that’s wide near the handle for loose curls and narrow at the tip for a tighter shape. The Nano TitaniumTM dryer offers a triple threat combination of power, speed and design with 2000-watt performance and lightweight ergonomic handling. Features of Babyliss PRO Nano Titanium Ionic Dryer BABNT5548 2000 watts for faster drying time 6 heat/speed settings Advance surrond heat for ultimate drying Cool Shot Integrated Ion Generator Ionic for more shine and less frizz Lightweight design Babyliss Nano Titanium Tapered Barrel Iron 1 1/4″ – 3/4″ Sol-Gel Nano Titanium/Ceramic Barrel 50 Heat Settings – up to 450 ºF Turbo Heat Button Instantly Boosts Heat 8-foot Tangle-Free Swivel Cord 1 1/4″ – 3/4” Taper 110-120VAC .